“As the creator of Late Nite Catechism, Vicki Quade knows a thing or two about what makes a one-person show successful,” -- Pioneer Press, Chicago. More fun than Sodom and Gomorrah!! So much fun, you’ll have to confess it!!! 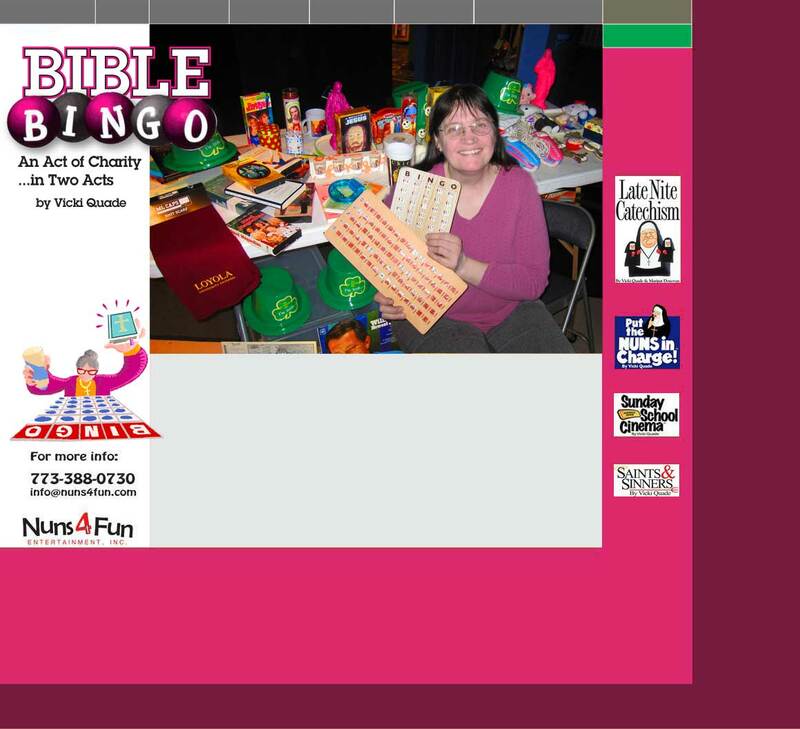 Vicki Quade, creator of the hit comedy, Late Nite Catechism, brings to life a new comedy about fundraising and bingo. The parish needs money and the Archdiocese has a new bingo department. and the funniest quiz about the Holy Family you’ve ever seen. Add to that a box of wacky prizes, fun bingo cards, and a lot of Catholic humor. In this interactive bingo show, we actually play bingo! And get the audience talking about everything from Adam & Eve to modern sins. You’ll be laughing so hard, you’ll have to be careful watching your bingo cards!